According to Atlassian, unnecessary meetings cost the US economy $37b a year in wasted salary costs. In fact, per the same study, half of all meetings are considered “wasted time”. What differentiates a successful meeting from a failed one? How do we make sure our meetings are consistently successful? 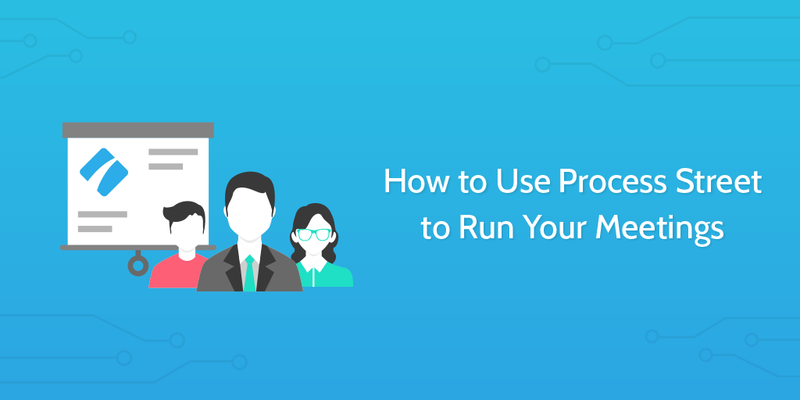 In this article, we’ll discuss the fundamentals of how to run a successful meeting; the 7 key steps advocated by MIT professor Neal Hartman. 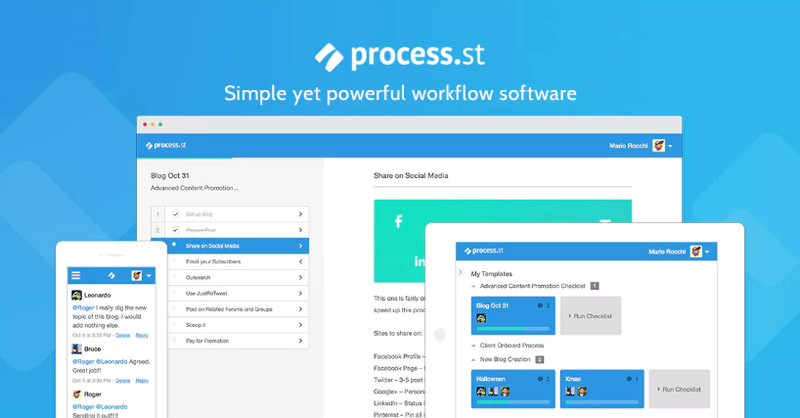 And we’ll share with you our internal method for running meetings in a structured manner with Process Street. What makes a good business meeting? 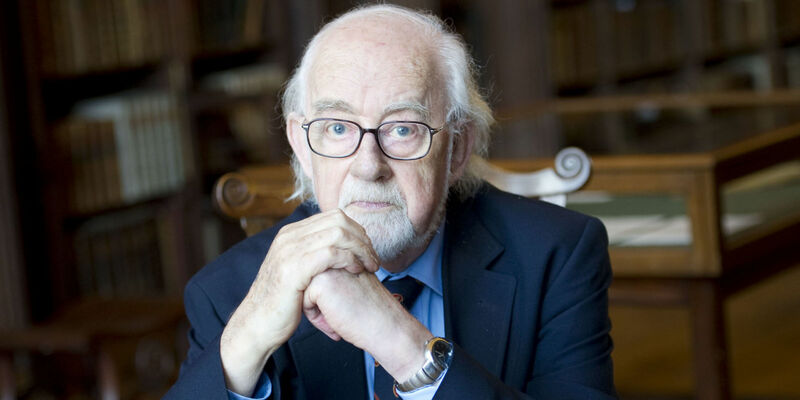 According to Sir Antony Jay, acclaimed broadcaster and writer on management, meetings serve a series of core purposes. A meeting defines a group: who is in the group and who isn’t. It shares the knowledge of each individual within the group amongst the others. In doing so it also serves to define the collective aims of the group and makes those shared goals. It then allows those within the group to work together for that short period despite status differences, while also reinforcing the hierarchy and order within the group. All very theoretical and nice. But why, if there are so many clear purposes and benefits gained from meetings, are the figures from Atlassian’s research so wholeheartedly negative? Neal Hartman, Senior Lecturer at the MIT Sloan School of Management, writing for Forbes, believes the use value of meetings is being undermined by inefficient management. Hartman presents 7 steps which are necessary to holding a productive meeting. For every meeting held within your company, you should always be able to clearly identify the purpose of the meeting. Hartman makes clear that meetings should not be used for “status updates” or other non-essential purposes. Meetings should be focused around areas where topics need to be discussed back and forth within an organizational hierarchy. A change in management strategy is an example of ideas being fed down the ladder of command. These changes will require clear communication to employees and also require questions to be answered and potential effects to be discussed. This means a discourse between different people with different responsibilities, and therefore benefits from a meeting. Another area may be presenting ongoing work on projects and obtaining feedback. This requires employees to present their work up to management, or their colleagues, and have a discussion about what is taking place and whether work is heading in the right direction. Again, the purpose of this meeting is to engage in a discourse, rather than to simply convey knowledge. If the meeting has no clear purpose or a purpose which could be accomplished via one-way communication, it probably doesn’t require a meeting. Whenever anyone attends a meeting, their available labor hours are being used up for this purpose. Inviting everyone to every meeting would have a hugely negative impact on overall productivity. Hartman recommends only inviting people to meetings who have a specific need to be there. If the objective of the meeting is not relevant to an individual, then don’t invite them. Their time is likely better spent doing the tasks you pay them for. Not only will their time be wasted, but the employee will know their time is being wasted and this harbors downstream problems in regards to morale and engagement. Decide what is going to be discussed in the meeting beforehand. Always go into meetings with an agenda, and allot time to the specific items. Hartman recommends sending this agenda to all participants beforehand, and having this agenda within sight and within mind throughout the duration of the meeting. This will keep people focused and stop time slipping away. You have to be very clear with the ground rules for how meetings are going to operate. If someone is waffling and taking up time on unnecessary items, it is vital you put a stop to it. Being polite but also assertive provides no one leaves the meeting feeling insulted while making sure the meeting won’t overrun, miss any of its talking points, or reduce the impact or contribution of other invitees. Hartman is a firm believer in starting on time and finishing on time. This kind of structure makes certain the agenda is held to and that no extra time is wasted. Moreover, prompt meetings encourage workers to be prompt. This stops a tendency for tardiness from encroaching into the team’s operations. People learn to appreciate that your time is valuable and, importantly, they feel that you appreciate how important their time is, too. Meetings, according to Hartman, should last no longer than an hour. This way, all workers involved are able to keep their concentration and engagement for the duration. Even if you have to work through the meeting at pace, the higher levels of engagement from shorter meetings mean that quality will shine through. To keep everyone engaged throughout, it is important to remove distractions. Hartman feels strongly that the use of technology within meetings should be avoided where possible to keep the whole team focussing on the core objectives. Of course, if the meeting is one for a remote team then the removal of technology is not an easy practice to achieve. Asking regular questions to different team members is a basic way to check people are still engaged and not daydreaming or fiddling around online – the Atlassian research found that 91% of people reported daydreaming in meetings. Alternatively, you could employ video calling rather than voice calling, which can keep people more focused as they know their team can see them. After every meeting, a memo of some description should be published highlighting what was achieved in the meeting and what the actionable steps are for each relevant attendee. This stops different people coming away from the meeting with differing expectations. The purpose of the meeting was likely to put everyone on the same page. So do exactly that. Literally put everyone on the same page by highlighting what was decided and what each person must do. This also provides a reference point for future which you can draw from – a summarized minutes of the meeting. Within our team in Process Street, we have four hours of business meetings each week. Two of these hours are only for the team itself, while the other two hours involve the team and management for review and approval purposes. We’ve taken the core perspective behind Hartman’s work and attempted to implement it within our operations. We feel we have cut the total meeting time down to its bare minimum while not sacrificing the benefits meetings give us. Plus, we’ve automated a series of steps within his recommendations. Our business meetings launch themselves automatically whenever we have a meeting scheduled. We paste in Trello cards which document our work and the progress of our work. The meeting then follows a set template which follows a meeting process we have iterated and optimized over time. The host of the meeting enters information into the different form fields within our Process Street checklist as we undertake the meeting. At the end, when the checklist is completed it automatically generates a summary of the meeting and pastes the information into our team Slack channel, as well as saving it within our Process Street account. We’ve replicated the Hartman model, yet added to it automated steps so that it fits neatly within our workflows, and saves us time in the process. Let’s run through step by step how we achieve this. We know that our content creation marketing team are going to meet every Tuesday and Thursday at 9 am GMT. Because of this, we can set up our meeting process in advance to automate the running of the meeting for every week in future. It’s incredibly simple how this is done, so let me show you our method. First, below is an overview of the template we use to run this checklist. As you can see from the image above, this meeting structure is super simple. There are probably lots of other potential elements we could have created and included to give it more body and broader applicability, but we didn’t. Well, we know exactly what purpose this meeting serves and how the meeting needs to be convened in order to be successful. We’ve chosen to keep the steps simple and open. On the left, you can see our different broad agenda items, and on the right, you can see the form field where we’ll enter our links for discussion. This helps us stay agile and not be bound too tightly in our agenda. To schedule the checklist to automatically run every time we host a meeting, we’ve set up the parameters in the scheduling screen below. This means that our checklist will automatically run for every business meeting at the right time when we need it. Every assigned member will be sent an email notification with a link to the checklist for them to join. This provides us with the post-meeting summary of the discussion and archives that for future reference. You can see how we set that Zap up below, by setting the check task trigger for Process Street and the send message action for Slack. The further layer of documentation we have of the history of our meetings lies within Process Street itself. On the overview panel, we can see a history of all the meetings we’ve run and the data which has been entered into each. One of the ways we avoid wasting too much time on meetings is by utilizing other opportunities to answer questions and problems. 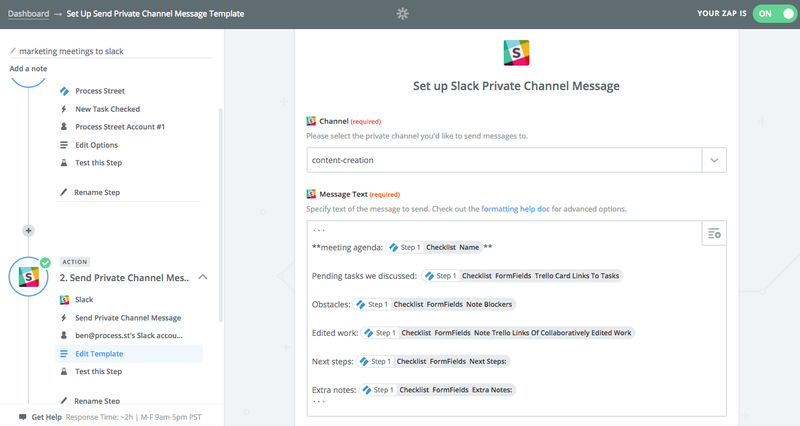 By using Slack, we can all keep in constant contact individually or as a team, meaning we can solve simple problems in minutes rather than over long drawn out meetings. If you’re so inclined, you can add poll integrations into Slack to run simple polls and get collective feedback from your team. You can also employ other services like Loomio which help broad teams make collective decisions. By making use of these kinds of technologies, you can cut down the amount of time needed to be spent in meetings. From there, you can do what we have done and optimize your meeting processes for maximum efficiency. The average employee wastes a shocking 31 hours a month in unnecessary meetings. Rethink your approach to business meetings and get more done. How many meetings do you have in your team per week? Are they all necessary, or can you slim it down? Let us know in the comments and we might reach out to you! So many meetings waste time. Great article on how to get the most out of them! Thanks Nathan! Glad you enjoyed the read. To tell the truth, I hate meetings because they lack proper organization, Every time it’s announced and scheduled duration is 15 min, we sit in a conference room for at least one hours. It steals the time when it’s not planned in a way to deliver useful info, not just for the sake of speaking. But in case of working with a remote team communication is really important https://qubit-labs.com/5-peculiarities-working-remote-software-engineers/ and chatting in a messanger is not enough to discuss details.